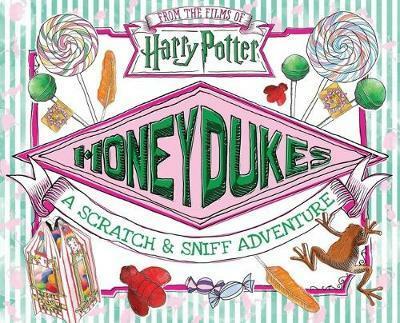 4.47% of people buy Honeydukes: A Scratch and Sniff Adventure and Harry Potter: The Marauder's Map Guide to Hogwarts ~ Hardback ~ Jenna Ballard. "A delicious delight of print!" If you or your Young witches and wizards always wanted to smell the Famous candy shop in Hogsmeade this is as close as you'll get! ,Much to the delight of our young Wizard,each smell was different and very like the real thing!! 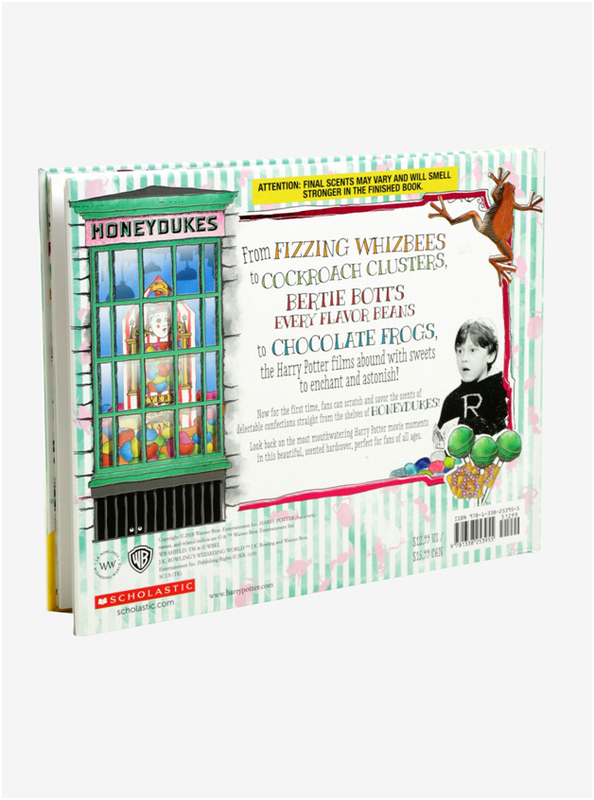 (perhaps our book is lucky to smell perfect,no Cornish pixies were found to have scratched the book and it wasn't jinxed by a Death Eater!.) A fun read for the Muggle family and especially so if your into Harry Potter and his universe. I dont know if its the pregnancy sense of smell or just for everyone but everything in this book smells absolutely revolting! Very awesome book though, kids will love it!! 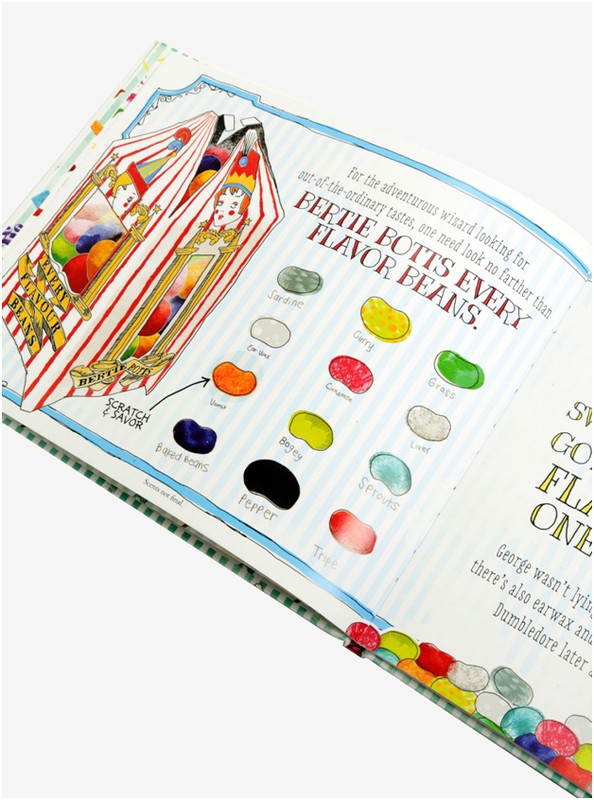 A scented hardcover guide to the wizarding world's most famed candy shop, Honeydukes! Includes 18 scents. From Fizzing Whizbees to Cockroach Clusters, Bertie Bott's Every Flavor Beans to Chocolate Frogs, J. K. Rowling's Wizarding World abounds with sweets to tickle and delight. 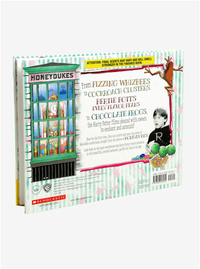 Now for the first time, fans of the Harry Potter films can get a peekor shall we say, a whiff, of the delectable confections made by the Wizarding World's most famous candy shop, Honeydukes!